A Bronze-wing Pigeon arrives of an afternoon to search for seeds. 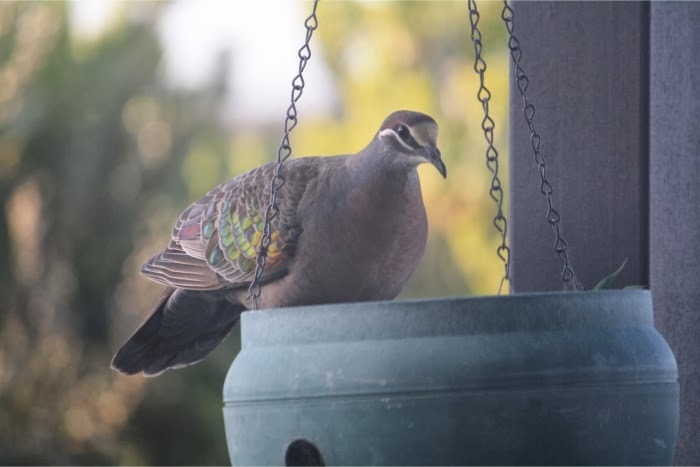 I wanted to put together a post of some of the birds that come into our garden. Mainly because I have found it to be of great benefit to have plenty of perching areas for birds to utilise. As a result I am seeing more and more bird activity as the many, varied perching opportunities give the birds access to hunting spots in the garden and greater safety from small raptors and intruding house cats. 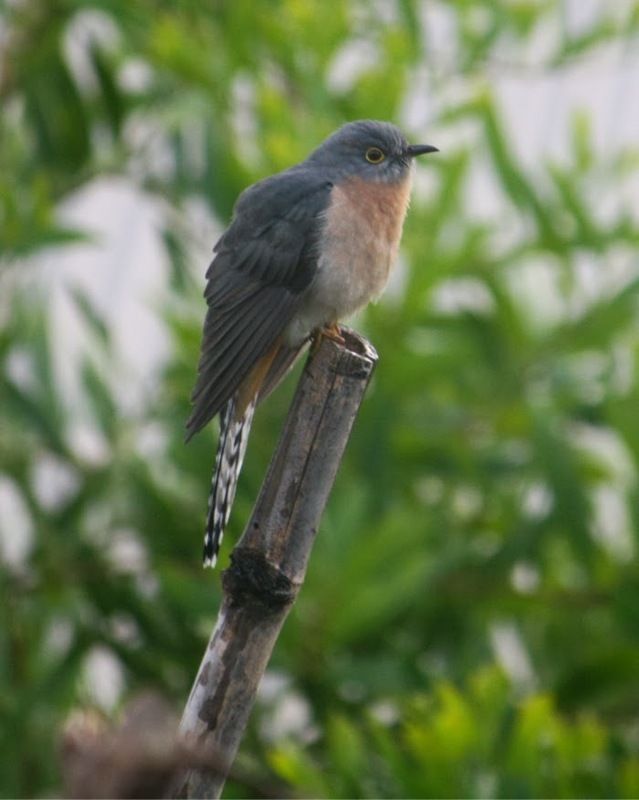 During winter this Fan=tailed Cuckoo made frequent visits over several mornings to our garden. 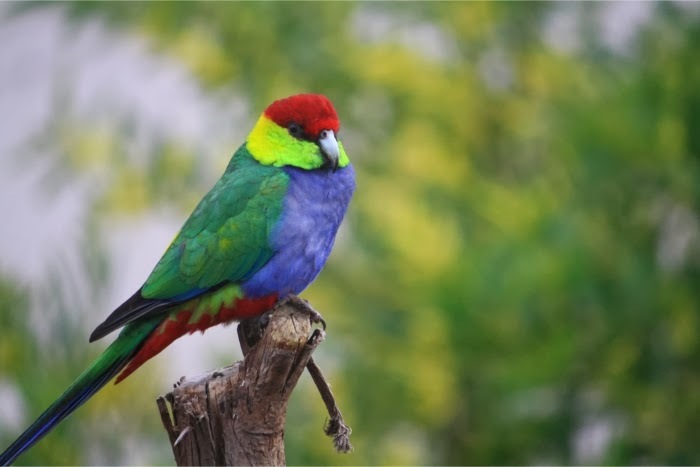 Red-capped Parrots are some of the larger birds to frequent the garden, particularly when sunflowers are ripening off. Juvenile Western Silver-eye waiting for its parent to arrive with food. 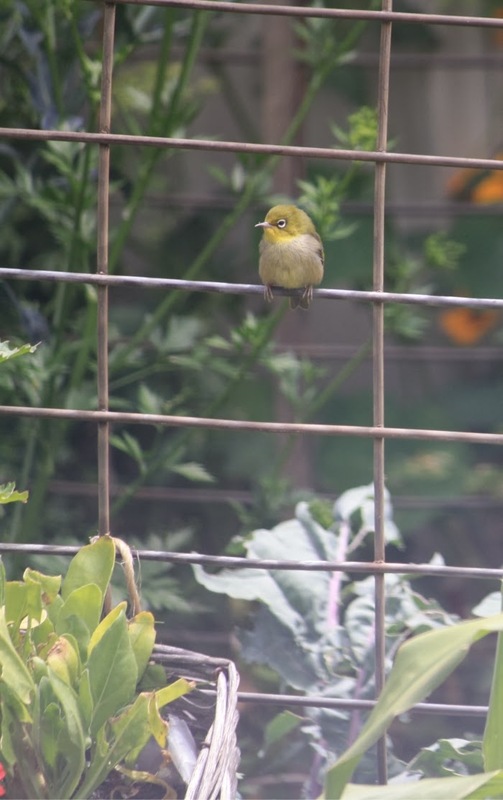 Various types of weld mesh are in the garden and used for plant supports and as a happy result are excellent perches for smaller birds such as silver-eyes and flycatchers. Both of which help reduce pest insect numbers in the garden. 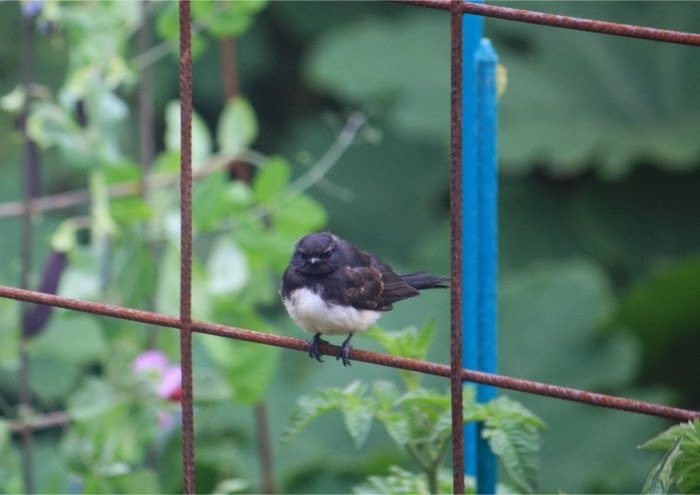 At this time of the year it is a common sight to see small flocks of silver-eyes moving through the garden in quite obscure areas and making off with green caterpillars to feed their young, or perching on the wire mesh and thrashing their prey about wildly before flying off with it. A juvenile Willy Wagtail that was seen recently one morning. A very welcome sign in the garden.